Kimberly Stegmaier, MD, working with members of her lab. Although treatments for childhood cancer patients are improving, cancer remains the leading cause of death by disease in children. Doctors and researchers are also focused on decreasing the toxicity of these treatments, which can have side effects years after a child finishes treatment. 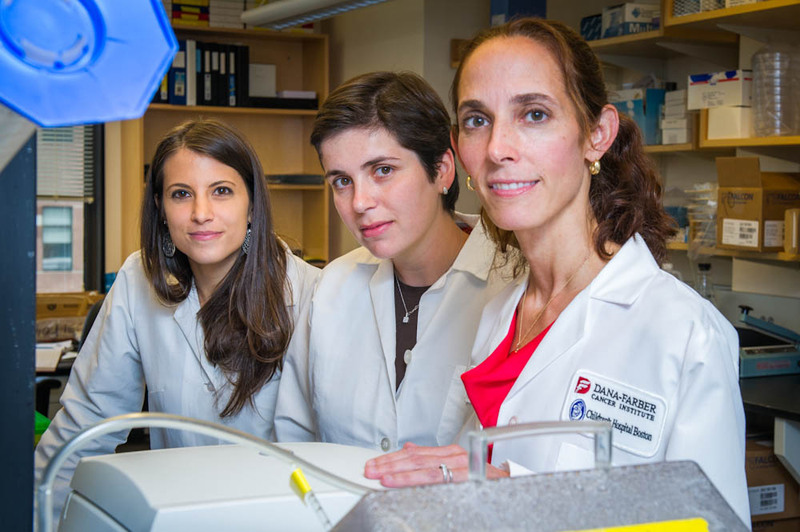 Stegmaier, who focuses her research on identifying new drug targets and new drugs for leukemia, Ewing sarcoma, and neuroblastoma, recently discussed advances in childhood cancer treatment in a Science, Innovation, and Discovery Talk (SID Talk) at Dana-Farber. During the TED Talk-style presentation, Stegmaier explained some of her research in the treatment of sub-microscopic acute lymphoblastic leukemia (ALL) as well as genetic targets in childhood cancers. Your next story: CAR T-Cell Therapy: How Does It Work?